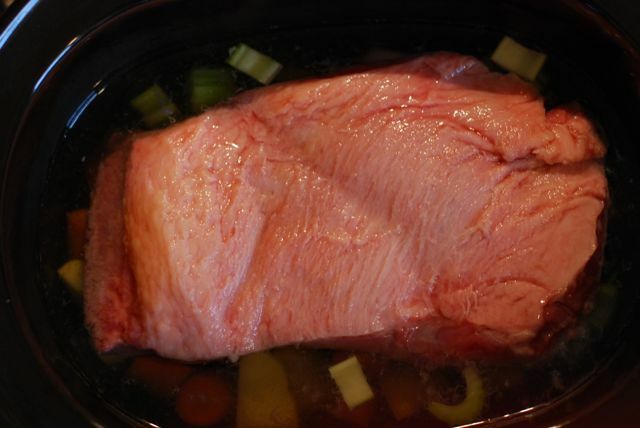 I used to make corned beef around St. Patrick’s Day every year the traditional way: low and slow on the stove for hours. It took a lot of tending that it’s no wonder most people only make it once a year as a St. Paddy’s Day treat. 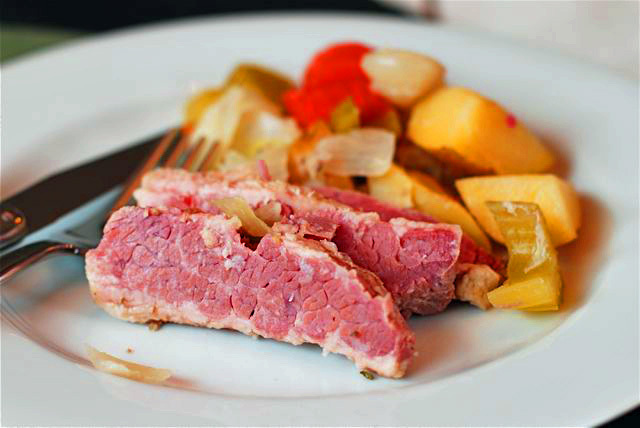 Slave over the stove no more…this slow cooker corned beef and cabbage recipe is made even more succulent and delicious (and easy!) in the slow cooker. It is a snap to pull together during the day, and it always comes out perfectly for dinner. It’s so easy you don’t have to save it for the weekend. You can actually eat it on St. Patrick’s Day in the middle of the week. Just throw it together in the morning before work, and dinners ready by the time you get home. Cooking corned beef on the stove is a painfully slow process. Try out this shortcut instead. 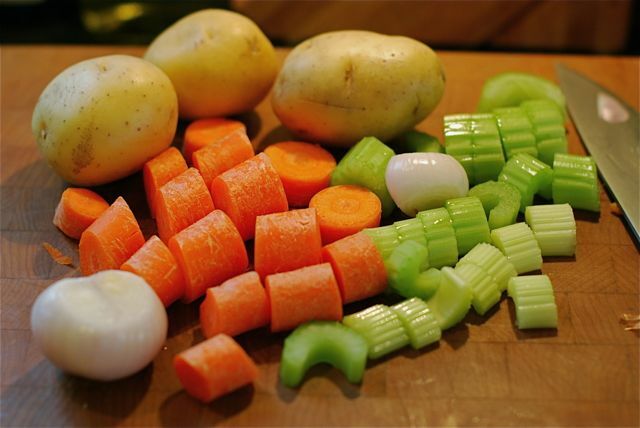 Step 1: Place the carrots, celery, shallots, and potatoes in the bottom of your slow cooker. Lay the brisket on top of the vegetables, fat side up. Step 2: Pour water over the meat and vegetables until it is 1 inch from covering the top of the meat, and stir in the pickling spices. Turn the slow cooker to high and cook for 4 hours. Step 3: Then, lift the lid and place the cabbage slivers on top of the meat. Cook for one more hour. Remove the meat and vegetables from the liquid. Slice the meat and serve with the vegetables and a drizzle of the cooking liquid. Want more St. Patty's Day recipes?